Glucose tracking is set to one of the next big things in connected health, with Fitbit and Apple now turning their heads to diabetes, but until there's a big breakthrough in optical sensor technology, progress will primarily lie in management. However, another study has popped up claiming that it may be possible to accurately track glucose in sweat, negating the need to draw blood. 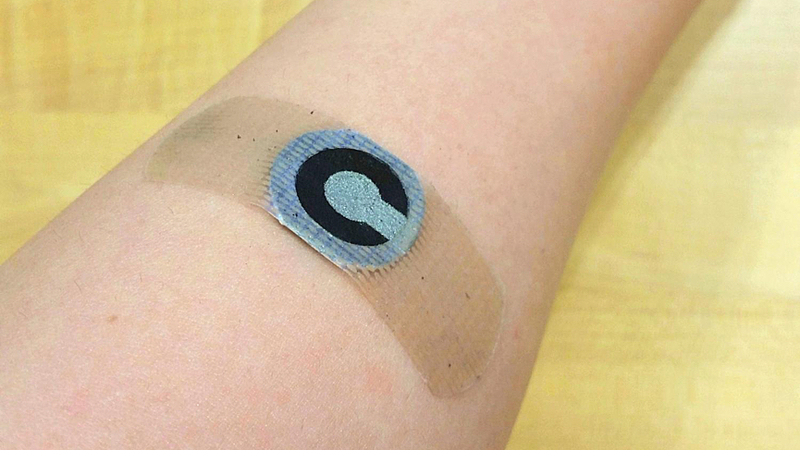 Researchers at Binghamton University, State University of New York, claim to have created a paper-based patch that would be an effective way for diabetics to monitor their glucose during exercise. Exercise can be a good way to manage blood sugar, but it also requires monitoring those levels closely so as to not risk hypoglycemia. We've seen a few other projects looking at measuring glucose from sweat, but the concern is that sweat isn't as good an indicator as blood, still the gold standard. This is because glucose concentration is lower in sweat, while lactic acid and temperature changes can also negatively affect results. "We set the minimum threshold level on a normal glucose concentration (0.2mg/mL) in human sweat," Seokheun Choi, an assistant professor at the university's Electrical and Computer Science department, told me. "For the normal range of glucose concentration in sweat, our results indicated a strong correlation between sweat glucose and blood glucose." Choi said that they need to further study with lower concentration. I also asked whether the concentration of normal sweat levels could be enough to feasibly track throughout the day, perhaps by putting a sensor under the arm. "For the non-exercise situations, it is hard to obtain an adequate sample enough for reliable data," said Choi. "If we can use the recent technique developed by Prof. Jason Heikenfeld (i.e. sweat stimulator for continuous sweat analyte analysis), then we may continuously monitor glucose level in sweat." Here's a link to work he's referring to, but it essentially teases out sweat even when you're not exercises, which would go nicely hand in hand with Choi and co's work.